I am in Team Candor! Yes, you read it heard me right! The super awesome people at HarperCollins Children's Books have set up a challenge for UK book bloggers! The bloggers have been put into each of the five Factions of the Divergent series (Abnegation, Amity, Candor, Dauntless and Erudite) to become teams. The aim? To be the Faction to post the most reviews of Insurgent in the first week of May, between 1st and 8th May! The winning Faction receives goodies! Is this not the coolest thing ever! We are at war! Being a book blogger, I'm so stoked to be in Team Candor, as the Candor Faction is all about being honest - is that not what we book bloggers aim to do in our reviews? Suits me just fine! Now I must be honest... I've yet to read Divergent. I know, I know, bad Jo! But I am SO excited to! Once I'm done with the book I'm currently reading, I'll be picking it up and shooting a review your way ASAP, all ready for Insurgent! 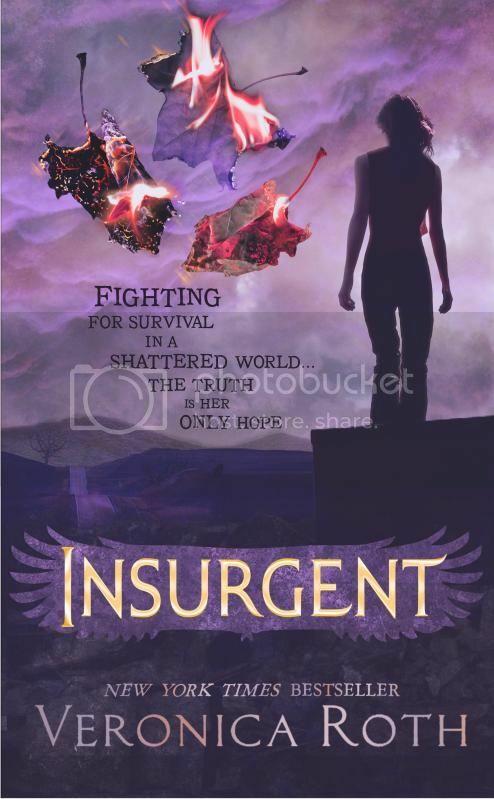 Follow everything that the Factions are getting up to on Twitter by checking out #InsurgentUK, and ours specifically at #CandorUK. You're in for a treat with Divergent! I just hope the second book can live up the same standards - don't you hate when the great start to a series is let down by the others? Anyway, I'm sure it'll be great and I can't wait to read Insurgent. Oooh, I know what you mean! Though I have heard that Insurgent is better than Divergent! :D Sounds good! Looking forward to them both. We Sat Down loved Divergent unanimously. We're looking forward to Insurgent. If we being honest :), it was the first book on our Wishlist this year!